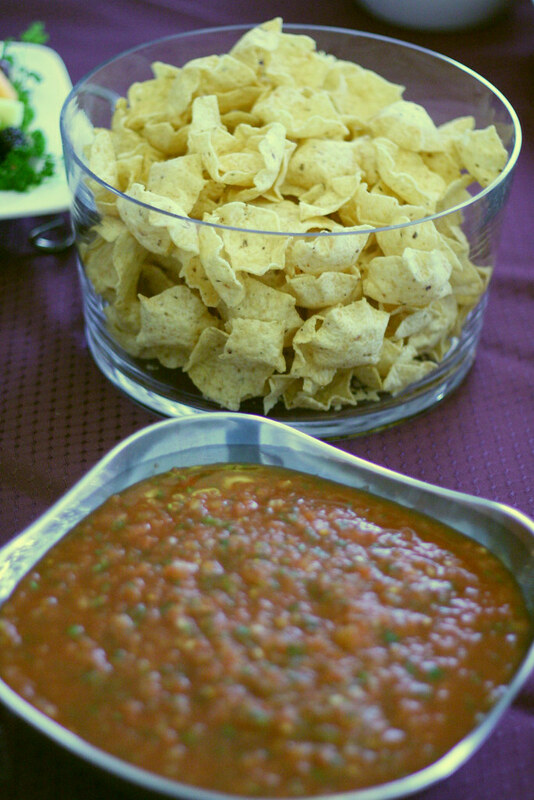 Do you know why salsa is the number one condiment in America? Because people like to say Salsa! That may be true. But also it may be because there are so many different kinds of salsa out there that your bound to find one you like. I previously posted this recipe, but it's buried deep in the blog, and I recently made it again so I figured it was time to bring it out of the vault. (Wow, I'm all about Seinfeld today apparently!) When I last posted it, I actually didn't eat Salsa. Since then I've developed an appreciation of it. I won't say I love it, but I do eat it when we go out now. And this restaurant style salsa is the exact kind I like. It's not chunky, but still has all of the wonderful fresh flavors of salsa. You can make it as chunky as you want, but since the reason I was always so "not a salsa person" was because they tend to be chunkier than I prefer... give me smooth salsa and I'll be happy!